M. Yamaguchi, T. Miwa, T. Saito, and Y. Tadokoro, ”Pitch estimation of solo and duet songs using double comb filters,” Trans. 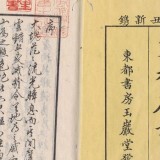 IEE of Japan, vol.121-C, no12, pp.1853-1859, Dec. 2001. M. Yamaguchi, T. Miwa, and Y. Tadokoro, ”Pitch estimation of singing voices using parallel-connected comb filters and singular value decomposition,” IEICE Trans. Information and Systems of Japan, vol.J87-D-II, no.4, pp.1020-1029, April 2004. T. Morita, M. Yamaguchi, and Y. Tadokoro, ”Pitch estimation method for transcription using parallel-connected comb filters and noticing their output values,” IEICE Trans. Information and Systems of Japan, vol.J87-D-II, no.12, pp.2271-2279, Dec. 2004. Y. Tadokoro and M. Yamaguchi, ”Pitch detection of duet song using double comb filters,” Proc. ECCTD’01, vol.I, pp.57-60, Espoo, Finland, Aug. 2001. Y. Tadokoro, W. Matsumoto, and M. Yamaguchi, ”Pitch detection of musical sounds using adaptive comb filters controlled by time delay,” Proc. ICME’02, vol.1, pp.109-112, Lausanne, Switzerland, Aug. 2002. M. Yamaguchi and Y. Tadokoro, ”Pitch estimation of polyphonic songs using comb filters and singular value decomposition,” Proc. TENCON’03, vol.1, pp.375-379, Bangalore, India, Oct. 2003. Y. Tadokoro, T. Morita, and M. Yamaguchi, ”Pitch detection of musical sounds noticing minimum output of parallel connected comb filters,” Proc. TENCON’03, vol.1, pp.380-383, Bangalore, India, Oct. 2003. M. Yamaguchi and Y. Tadokoro, ”Pitch estimation of polyphony based on controlling delays of comb filters for transcription,” Proc. 11th DSP Workshop, pp.371-375, Taos Ski Valley, New Mexico, USA, Aug. 2004. 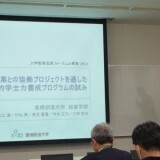 Y. Tadokoro, K. Tanishita, and M. Yamaguchi, ”Musical instrument estimation using linear prediction method,” Proc. IWSSIP’04, pp.207-210, Poznan, Poland, Sept. 2004. Y. Tadokoro, T. Fujiwara, T. Saito, and M. Yamaguchi, ”Pitch estimation for musical sounds with percussion sound using resonator-type comb filters,” Proc. TENCON’04, vol.A, pp.88-91, Chiang Mai, Thailand, Nov. 2004. Y. Tadokoro, M. Natsui, Y. Seto, and M. Yamaguchi, ”Pitch Estimation of difficult polyphony sounds overlapping some frequency components,” Proc. ICINCO’06, pp.168-173, Stubal, Portugal, Aug. 2006. M. Yamaguchi and Y. Tadokoro, ”Pitch estimation for mixed tones with overlapped harmonic components using comb filters and auto-correlation functions,” Proc. SCIS & ISIS 2008 (Joint 4th International Conference on Soft Computing and Intelligent Systems and 9th International Symposium on advanced Intelligent Systems), pp.861-864, Nagoya, Japan, Sept. 2008. 山口満, 三輪多恵子, 田所嘉昭, ”並列構成くし形フィルタによる歌唱の採譜の基礎検討,” 信学技報, DSP2000-94, pp.33-38, 豊橋技術科学大学, Sept. 2000. 山口満, 三輪多恵子, 田所嘉昭, ”縦続接続くし形フィルタ構成による多重唱の音高推定の検討,” 情処学音楽情報科学研報, 2001-MUS-41-10, pp.55-60, 静岡文化芸術大学, Aug. 2001. 山口満, 森田健夫, 三輪多恵子, 田所嘉昭, ”並列構成くし形フィルタによる和音の音高検出法の検討,” 信学技報, DSP2001-204, pp.57-64, 徳島大学, March 2002. 山口満, 三輪多恵子, 田所嘉昭, ”並列構成くし形フィルタと特異値分解に基づく多重唱の音高推定法に関する検討,” 信学技報, DSP2002-110, pp.1-6, 名古屋工業大学, Sept. 2002. 山口満, 田所嘉昭, ”Resonator Fourier Transformによる近接周波数のフーリエ係数推定,” 信学技報, DSP2002-218, pp.53-58, 日本大学, March 2003. 山口満, 松本弥, 田所嘉昭, ”くし形フィルタの遅延数制御による混合音の音高推定,” 電子情報通信学会第18回ディジタル信号処理シンポジウム, A5-1, 伊勢志摩ロイヤルホテル, Nov. 2003. 山口満, 田所嘉昭, ”くし形フィルタと自己相関関数に基づく調波成分が重複する混合音の音高推定,” 情処学音楽情報科学研報, 2007-MUS-72-10, pp.49-54, ヤマハ株式会社, Oct. 2007. 山口満, 三輪多恵子, 田所嘉昭, ”異なるオクターブの同一音名和音に対する楽器推定法の検討,” 電気学会東海支部「マルチメディア情報通信と信号処理」若手セミナー, 名古屋大学, March 2000. 山口満, 三輪多恵子, 田所嘉昭, ”異なるオクターブの同一音名和音に対する楽器推定法の検討,” 2000信学総大, A-4-31, 広島大学, March 2000. 山口満, 三輪多恵子, 田所嘉昭, ”くし形フィルタによる歌唱音のピッチ推定の基礎検討,” 平12東海連大, 441, 静岡大学, Sept. 2000. 山口満, 三輪多恵子, 田所嘉昭, ”くし形フィルタによる歌唱のピッチ推定の実験結果,” 2000信学ソ大（基礎・境界）, A-4-29, 名古屋工業大学, Oct. 2000. 山口満, 三輪多恵子, 田所嘉昭, ”多重くし形フィルタによる歌唱音の採譜,” 電気学会東海支部「マルチメディア情報通信と信号処理」若手セミナー, 名古屋大学, March 2001. 山口満, 三輪多恵子, 田所嘉昭, ”多重くし形フィルタによる二重唱の採譜の検討,” 2001信学総大, A-4-44, 立命館大学, March 2001. 山口満, 三輪多恵子, 田所嘉昭, ”縦続接続くし形フィルタ構成による三重唱の音高推定,” 平13東海連大, 447, 豊橋技術科学大学, Nov. 2001. 山口満, 三輪多恵子, 田所嘉昭, ”並列構成くし形フィルタと特異値分解による多重唱の音高推定,” 2002信学総大, A-4-19, 早稲田大学, March 2002. Y. Tadokoro, K. Noguchi, K. Obata and M. Yamaguchi, ”Study on location estimation system of song sound source in additive noises and its transcription system,” Proc. of the First Symposium on Intelligent Human Sensing (IHSS2003), pp.167-173, Hotel Nikko Toyohashi, March 2003. 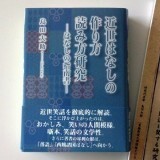 山口満, 三輪多恵子, 田所嘉昭, ”resonator Fourier transformによる近接するスペクトル成分の判別,” 2003信学総大, A-4-45, 東北大学, March 2003. Y. Tadokoro, K. Noguchi, K. Obata and M. Yamaguchi, ”Study on tracking system of singer and transcription system for its song sound,” Proc. 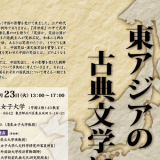 of the Second Symposium on Intelligent Human Sensing (IHSS2004), pp.179-182, Toyohashi Univ. Tech., Feb. 2004. Y. Tadokoro, K. Noguchi and M. Yamaguchi, ”Pitch estimation of musical polyphony sounds having same frequency components for transcription,” Proc. of the Third Symposium on Intelligent Human Sensing (IHSS2005), pp.165-168, Hotel Nikko Toyohashi, March 2005. 山口満, 田所嘉昭, ”くし形フィルタ出力の自己相関関数に注目した調波成分が重複する混合音の音高推定,” 2007信学ソ大（基礎・境界）, A-4-46, 鳥取大学, Sept. 2007. 山口満, 桐木道彦, 遠山直人, ”プッシュ型問題配信に基づくeラーニングシステム Sozo Platz の開発,” 平24東海連大, Po1-2, 豊橋技術科学大学, Sept. 2012.